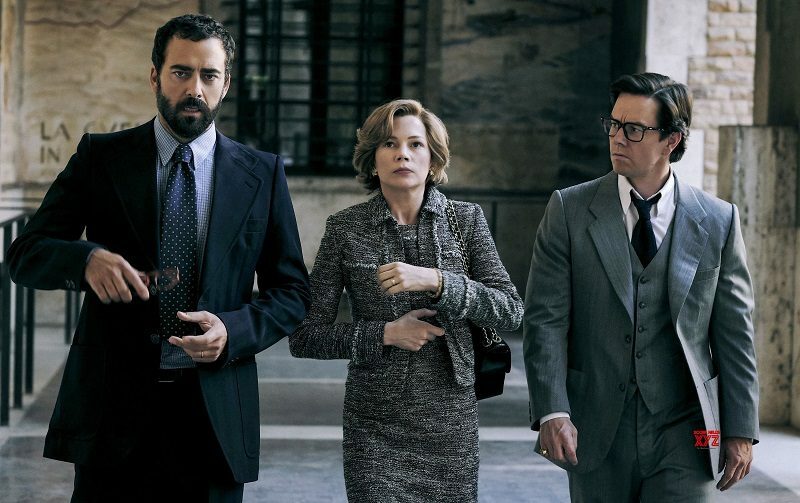 Featuring the talents of Ridley Scott, Mark Wahlberg and Michelle Williams the historical crime-thriller All the Money in the World was set to be a high profile film. Yet it has been met with a controversy that risks outshining the film. J. P. "Paul" Getty III (Charlie Plummer) is the grandson of the wealthiest man in the world, J. Paul Getty (Christopher Plummer). In 1973 Paul was kidnapped by a gang in Rome and held for ransom for $17 million which Getty refuses to pay. 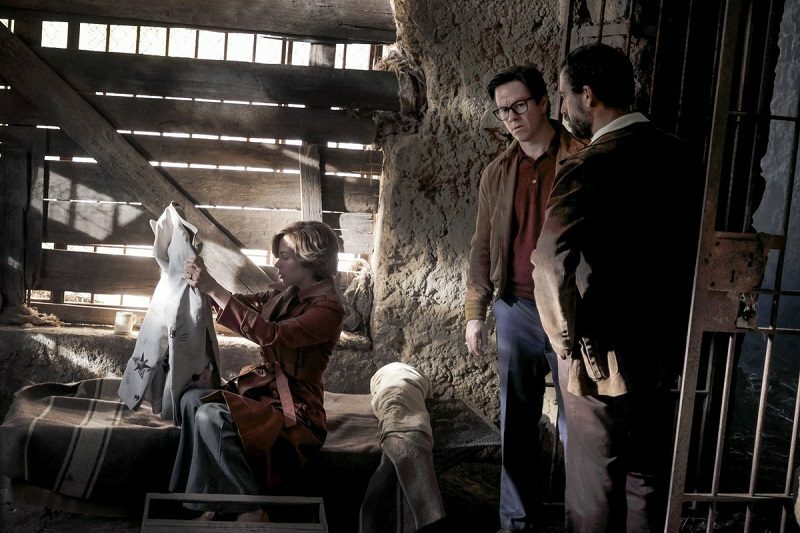 Instead Getty sends his right-hand man Fletcher Chase (Mark Wahlberg) to negotiate Paul's release and watch over the boy's mother, Gail Harris (Michelle Williams). It is best to get the elephant in the room out of the way: Christopher Plummer was a very last minute replacement for Kevin Spacey after sexual harassment and assault allegations were made against him. The film had already been shot but within a month the film was reshot and edited to include its new star. To show how last minute these changes were, when I saw Murder on the Orient Express the theater chain was still showing the trailer featuring Kevin Spacey. No matter what the merits of All the Money in the World, it is going to be judged from this standpoint. The inclusion of Plummer was a technical marvel because he had to shoot his scenes in the space of nine days - particularly tough for an actor in his late-80s. There were, of course, some shortcuts - the filmmakers properly used as much footage as they could from the original cut to minimize filming time for the reshoots. Other shortcuts include a scene where a younger Getty is in Saudi Arabia: either the scene as a whole was filmed on a green screen or Plummer was superimposed over Spacey. Considering the short filming and post-production time it was impressive: the scene even gave Plummer a digital facelift. Plummer was originally considered for the role before Spacey was cast so the Canadian actor was accustomed with the screenplay and his casting was a more logical choice: Getty was 80 years old in 1973 - so Plummer and his 88-years looked the part: Spacey needed prosthetics to play the role. Despite the short amount of time Plummer had to prepare for the role he still gave a terrific performance as a cold ruthless business person with a love for art and always looking to turn any situation to his advantage. Even though Getty states he loves his grandson his actions do not quite show it. Getty states if he pays the ransom for Paul he would have to pay a ransom for all his grandchildren if they're kidnapped. Even when Getty does agree to pay a ransom there are incentives for him beyond freeing his grandson. Getty is portrayed as a man who sees himself as a modern day Roman Emperor and plans to start a business dynasty. He also acts like a real-life version of Charles Foster Kane, amassing an ever-growing collection of art and antiquities. He symbolizes the worst aspects of capitalism – focusing on only making money. 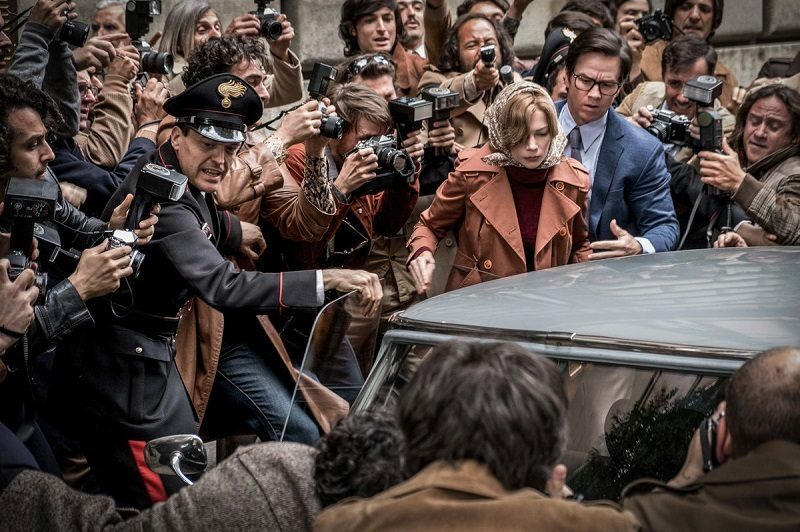 All the Money in the World is arguably an indictment of capitalism as a whole because Getty and the Mafia are pursuing money. Getty changed the world to become an oil tycoon and the Mafia - both high and low level individuals, will do anything to make money: from making fake handbags to more violent crimes. The film was also shown to be taking place at the time when OPEC was formed - causing trouble in Western Europe and the oil industry as Middle Eastern countries looked to gain more money from their most valuable resource. The casting of Plummer as Getty brings back memories of his role as Henrik Vanger in The Girl With the Dragon Tattoo - the patriarch of a wealthy but dysfunctional family. Although Vanger was a more sympathetic figure than Getty. Yet Getty is cut to be a complex figure - he wants to keep Gail out of the negotiations because of his view that that is no place for a woman - in his misguided way trying to protect her. 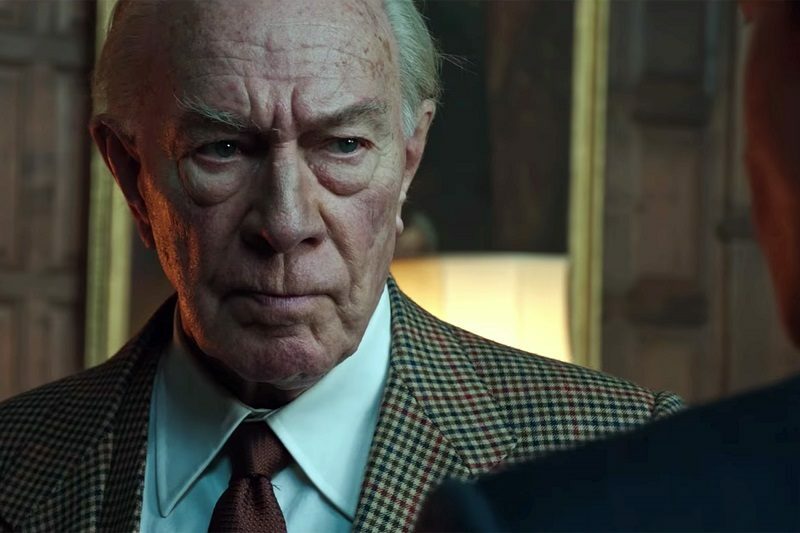 All the Money in the World was more than the Christopher Plummer show. He was only a quarter of the film. The film also focused on Gail Harris having to fight to even get an audience with Getty, let alone be a part of the negotiations. She's not just trying to save her son - she also has to battle an empire. Williams gave a strong performance as Gail Harris - someone who keeps a strong public persona despite the mental strain she is under - giving her performance a stoic vibe from dramas from the 1950s. Gail Harris is also portrayed as one of the few people who is able to negotiate with Getty despite her meager resources. The other major subplot involves Paul's relationship with one of his kidnappers - Cinquanta (Romain Duris). Cinquanta was the main point of contact between the Mafia gang and the Gettys and he grows to like the teenager. He tries to protect Paul in any way he can whilst still honoring the Mafia code. This subplot alone would have made for an interesting film by itself. Ridley Scott has always been a bit of a hit-and-miss director: for every Alien, Blade Runner and Gladiator he counteracts it with a 1492: Conquest of Paradise, Hannibal and Alien: Covenant. Even his attempts at crime films are mixed: American Gangster was great whilst The Counsellor was a notorious example of pretentious writing and filmmaking. Fortunately this was more in line with American Gangster: Scott's preference for realism made for some horrific moments of violence - people who know the case will know what that statement is referencing. 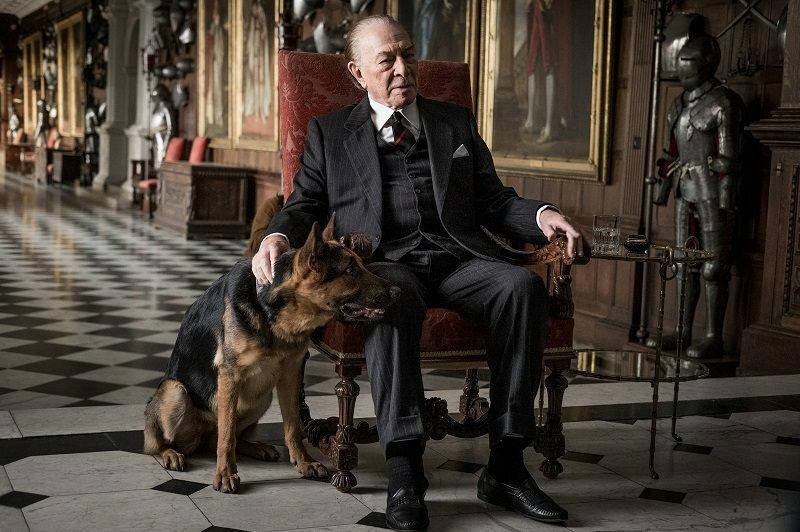 All the Money in the World is a fine drama and thriller even it does play fast-and-loose with the facts - at least the end credits acknowledge that there were alterations to the story for dramatic effect. The film was able to edit around its controversial former star and it makes for a solid showcase of acting and drama.